There are few pastimes as potentially rewarding as gardening. No matter what’s happening in the world at large socially, politically, or culturally, humans will always love getting out into nature and making things grow as they always have. No war and no fashion trend has ever been powerful enough to stamp out the basic appreciation of spending time cultivating green, growing things. Here’s a look at some of the ways in which gardening can boost your health and wellbeing starting today. It’s hardly a secret that most people just don’t get enough exercise. With the growing prevalence of severe health issues related to sedentary living, from obesity to diabetes and cardiovascular disorders of various types, it’s more important now than ever before to find ways of squeezing exercise into our daily routines. Gardening is a fantastic way of getting that exercise, as it can be as much or as little of a workout as you’d like. For someone who still has a long way to go with their fitness, they can take their time and pace themselves while mowing the lawn and clearing patches of land at once, with regular breaks to enjoy the sun and fresh air. You could even lighten your load further by picking up one of Mark’s top 5 picks for leaf-blowers. For the fitter gardener, any number of sweaty and high-effort projects can be taken up on short notice. A shocking number of people today are deficient in vitamin D, which should hardly come as a surprise when you consider the fact that we humans get the vast majority of our vitamin D from exposure to the sun. With people sitting in front of TVs for their leisure, and in front of computers for their work, any moments which we can grab which put us out in the sun are to be cherished. Needless to say, avoid getting burned, but don’t shy away from any UV exposure. Believe it or not, your body needs it. Vitamin D is essential for proper hormone production and bodily function, and getting it from a pill isn’t as effective as getting it from the sun. The average office worker in the 21st Century rarely ever sees the fruits of his labour or has a real motivation to feel proud at the end of a busy day. Where, once upon a time, businesses were smaller and more direct, and life was unmediated in many of the ways it is today, our current situation finds us operating as cogs in vast machines we can barely comprehend the complexity of. Gardening allows us to work directly on something we will see the benefits of. When you plant a seed and nurture it, you will have the satisfaction of seeing something grow up from the soil. There’s a primal joy in nurturing growing things and seeing them develop. It’s a timeless and simple joy which can add immense satisfaction and wellbeing to our lives. 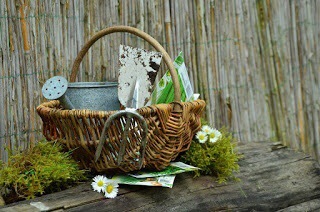 Gardening is a window to a simpler and more holistic aspect of life; one which we seldom get the chance to encounter.